People arrive at a career in interaction design or UX in many ways, often never receiving any formal training in design. Whether you’re just starting out or have a few years of work experience, having a solid understanding of the core elements of design can help take your practice to the next level. Core concepts in visual communication, synthesis, and critique lay the foundation for a strong design practice, and will help you refine and focus many of the techniques and methods you already use. Design Synthesis — The core of design practice is about generating many ideas and solutions, then using different methods to synthesize and narrow them based on criteria. Methods such as reframing, flow mapping, and concept modelling help us do this quickly and iteratively. Visual Communication — Ideas are great, but it’s the designers job to articulately communicate potential solutions in a way that helps people visualize what’s possible. Constructive sketching, modelling, and layout allow designers to communicate their vision clearly and quickly, as well as to explore ideas in depth for further iteration. Critique — Getting good quality feedback is critical to the design process. Critique methods help channel feedback and make sure the designer is getting relevant and constructive criticism that helps take the design to the next level. In this workshop, you will learn the basics of these methods through practice in a studio environment. You’ll be able to take your new knowledge back to your own work immediately. Mind if we call you “Matt” to keep it clear? Fluxible says: If Matt ever makes it big as a rock star, at least we know his band’s album covers will look great. For now, though, we’re glad he’s not quitting his day job. His broad experience and expertise in the creative, hacking, and product design spheres (totally stole that from the Normative website) will have you hanging on his every word, for sure. Matt is a Design Director at Normative in Toronto. 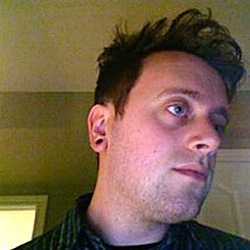 Matt has a background in new media art, music, and design and has been a practice leader in the field of interaction design for over a decade. His work spans a range of industries, working for clients such as Coca-Cola, CapitalOne, ING Direct, Nike, and Disney, as well as product and technology startups. 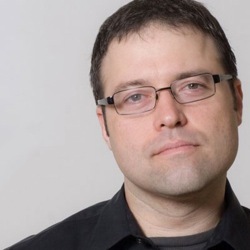 Matt is a member of the board of directors for the Interaction Design Association (IxDA), a global organization dedicated to the development of the interaction design practice, and regularly speaks at industry conferences and events. Fluxible says: The reason Fluxible takes place in September is because it’s a season when Matthew can’t be out on the slopes. Well, not quite, but with his entrepreneurial background, teaching experience, and design chops for a wide range of industries, we guarantee his workshop will be riveting… as long as no one brings up Skyrim and distracts him. Matthew is a founding partner at Normative, a strategic design firm in Toronto, Canada. A leader in the fields of customer experience and digital strategy, Matthew has built and led large design and strategy teams, slept under his desk at successful startups and done most of the things he’s been told he couldn’t do. His work ranges from developing digital innovation strategies for global financial services firms to building mobile location- based gaming platforms. A regular speaker at conferences in the fields of interaction design and digital strategy, Matthew is passionate about the impact of networked technologies on the physical world.